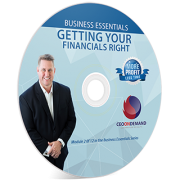 When it comes to profit a large percentage of businesses have a problem with expenses, not income. Hundreds of business owners the coaches meet in their normal week are wasting thousands of dollars on many different unnecessary expenses. Advertising is just one of them. So let’s just look at advertising for a moment. Let’s look how that fits in with the grand scale of marketing. The dictionary definition of marketing is something that quite a few business owners need to be aware of. I say that because in our travels as coaches we meet business owners who have an unusual reaction to our invitation to the free sales and marketing seminars we present across the country. When personally invited on numerous occasions the answer is no thanks I don’t do any marketing in my business! As Brad would say that, ‘isn’t that interesting!!’. I’ll now give you the Webster dictionary definition of marketing, ‘the act of buying and selling in a market’. Which includes everything from manufacturing to selling to packaging. So every single business does marketing. Just like every business sells. As Robert Johnson, a professional sales trainer says and I quote, ‘anyone who can get in front of another person who can say uh huh to another is a salesperson’. So let’s look at some of the ways to save profit through marketing. A good place to start is knowing what it costs you to acquire a customer from every sort of advertising promotion you do. By that, I mean actual paying customers, not inquiries. Most business owners we meet don’t know how to work out if their ads are working and they just feel that advertising is a necessary expense that doesn’t work. If you compare the acquisition costs for all types of advertising that you do you’ll find an interesting mix of numbers. For example, you may find it costs you $95 to ‘buy a customer’ through Yellow Pages, $54 to buy one from the local newspaper and $25 to buy one from a letterbox flier. So what do you do now? Well, you could stop running the Yellow Pages ad or at least redo it with a headline of some sort offering the reader an incentive to read on. Doing this alone we’ve seen 19 times increase in response from an ad! Imagine having that sort of an inquiry increase in your business. What would that do for you? The numbers are interesting because if your average customer spends $500 with you, it means that if you got them from Yellow Pages you have already spent $95 to get them just in advertising costs without considering anything else. If you acquired a customer from a flier it means you have just made $70 more profit on a sale of $500, a 14% increase. Once you know your acquisition cost you can try to improve it. You’ll find it varies quite a bit for all the different types of advertising. It’s important to look at other ways to generate leads like strategic alliances, direct mail, seminars, shows and host beneficiaries (Yes. This is a marketing strategy that very few people know about and it just happens to be about the lowest acquisition cost and most profitable marketing strategy there is and no one knows about it!!). The old saying that you shouldn’t put all your eggs in one basket is very true with advertising. Yellow Pages is totally passive as an advertising promotion. By that I mean, if people happen to decide on their own that they want a product or a service then they happen to decide to look in the Yellow Pages then they happen to decide to look at your ad then they may ring you. There are so many opportunities for them to find someone else before they see your number that the percentage of sales that you can win from Yellow Pages before they get to another business before yours is very high. A better way or another way of thinking is to take your business to your customer by asking yourself where can you find them. Then what will you use to communicate to them to get them interested in using your business? A direct mail letter is an obvious choice if you define your target market accurately. Or what about a host-beneficiary marketing strategy where you find other businesses that have a complimentary (but not competing) customer database that you can distribute to. This idea will work for nearly every business type there is! Can you see how these marketing strategies can have a better result than the Yellow Pages? It’s because you are taking your business to them. Educating a prospect as to why they choose to buy from you now. It’s important to know all these things and the best judge is acquisition cost. Work it out for your business. While you’re doing that you’ll need to know what your conversion rate from initial inquiry to actual sale is. You may find that very interesting too when you compare that with different forms of lead generation. But that’s another story for another day. Work on testing and measuring and you’ll find thousands of dollars in extra profit even without our help!